I have to admit that I was somewhat apprehensive about requesting to review the Captivated DVD produced by Media Talk 101, because I know that our family (including me) is greatly affected by media usage in our home. You can watch the movie trailer at www.captivatedthemovie.com/. Media consumption is an area of my life that I often feel convicted by. I love the background noise of TV during the day. I can spend hours working on my computer, clipping coupons, and working on school lessons while “listening” to the TV. While I’m confessing, I might as well share that we have FIVE TV’s in our home! My favorite one is in the kitchen…yes, I even have one hanging below a cabinet right beside the oven 🙂 . I can catch up on the latest news while cooking dinner! I also have a tablet, a Smartphone, and my own personal computer. I enjoy keeping up with friends on Facebook, blog regularly, and spend time e-mailing friends and family on a daily basis. So, yeah…media consumption is something that I struggle with in my life. 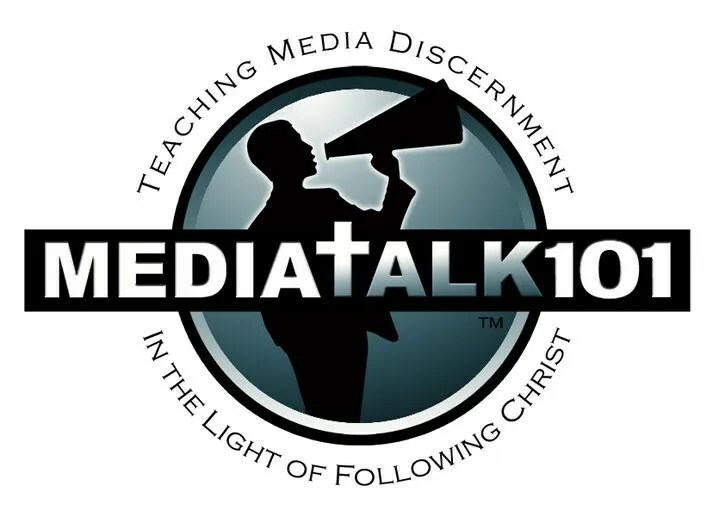 Captivated is a 107 minute documentary produced by Media Talk 101 , a nonprofit Christian ministry that is committed to helping people realize how media can impact their lives. I was blessed to receive a copy of the DVD (retail value of $16.95) as part of my review. The DVD is geared towards adults, although some teens may benefit from watching it as well. I really liked the introduction to the film. The credits are portrayed by using all of the different social media options that are common today. It was a very cool way to start the movie! I watched the DVD by myself the first time and…WOW…it was eye opening! After telling Justin (my husband) about it, we sat down and watched it together one night and again…WOW! Justin was so impacted by the film that he has committed to a 30 day media fast. He’s doing great and I’m very proud of him! On May 24th, 1844 the first telegraph was sent by Samuel Morse. His exact words were, “what hath God wrought?” I thought that was rather ironic… if he only knew what we know now! Fact #1: There are more TV’s than toilets per household. The movie states that there is now “more sewage coming in than going out.” I had never thought of it that way! Fact #2: The average American child spends 53 hours per week in front of a screen and sends 3, 339 texts per month. Fact # 3: When the video game Halo 3 was released in 2007, sales reached $170 million in the first 24 hours – recently when Call of Duty Black Ops was released, sales reached $360 million in the first 24 hours! Captivated includes interviews with pastors, businessmen, families, and individuals who are concerned with the content of media that is entering our homes, to those who have actually struggled with their own personal addictions. I liked how the people who had struggled with media shared how their lives had changed for the better since overcoming their addictions. You could just see the joy and peace in them! Here’s something else that I found interesting: Do you know what the word “amuse” actually means? The “a” means not, and the “muse” means think. So, to “amuse” yourself means to “not think.” How many of us like to plop down on the couch and turn on our favorite TV show at the end of a long day? I know that I do! It is such an easy escape. But what are we filling our minds with? Are the things we are watching glorifying to God? I will be now be more discerning of the messages that are coming through my television. If after you watching Captivated you feel like change is needed for your family, the documentary provides guidance for how to talk to your family about honoring God with your choices of media. They give ideas on how to talk to your kids, how to provide alternative activities, how your children may react to the change, and encouragement that you can do it! The film also provides over 2 hours of special features including extended interviews which cover topics such as video games in relation to violence, using technology in classrooms, etc. As a Christian and a parent, this movie has really made me more aware of how easily we can become desensitized to negative influences. It has made me think before I turn on the television and I have turned it on less over the past few weeks. We have spent more time playing games with the kids at night instead of just staring at the screens in our home. We still have a long way to go, but watching Captivated has had a positive influence on our family. I think that it could have a positive impact on your family too. We went on a tour of Agecroft Hall for today’s field trip. The house was built in Lancashire, England in the late 15th century. It was neat to actually see some of the things that we’ve been learning about this year! Brendan and Ryan did great during the tour – we even got a compliment from the couple on the tour with us 🙂 . Ryan took his camera and had tons of fun taking pictures of the home and gardens. I wish we had waited another week or two- then everything would be in bloom. We’ll have to take him to Maymont or Lewis Ginter Botanical Gardens soon so he can get pictures of all the beautiful spring flowers. Great job Ryan!!! Only 10 Weeks Until Convention! 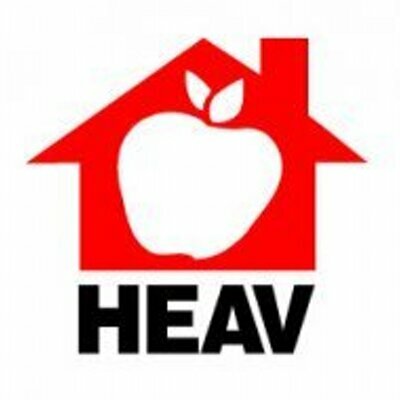 The 31st Annual HEAV Convention will be here in only TEN weeks!!! Convention parking? No problem! HEAV is offering FREE shuttle bus service on Friday, June 6. You can park your car at the Diamond stadium–free of charge–and ride a comfortable coach bus right to the door of the convention center! The bus will even stop at the Children’s Museum and the Science Museum on the way back. Buses will run frequently, taking away the stress of finding a parking spot. Barcoding System Is Now Open! Get started today listing your homeschool resources. The number of items we’re accepting into this year’s sale has grown from 60,000 to 70,000! Don’t miss this one-of-a-kind opportunity to offset the costs of your homeschooling efforts while blessing other homeschool families at the same time. Also, consider joining the UCS volunteer team. If you volunteer at least two hours, you get to shop early in the Used Curriculum Sale on Friday morning before the general public. To sign up as a volunteer, simply fill out the online volunteer application. Brendan has a huge passion for computers, programming, and anything involving technology. Homeschooling has allowed him extra time to focus on his passions. He has been working hard over the past few weeks and is excited that he coded his first Android App. Brendan’s app was coded in Java with the android SDK and Libgdx (game library) in Eclipse (I have no idea what any of that means 🙂 – I’m just passing on the details). The objective of JETPACK JEFF is to fly as high as you can into space without being killed. As you progress, the game increases in speed and difficulty. Please check it out and share with your friends and family! Thanks for supporting my future programmer!!! Thankful For Time to Serve! Today we went to MCEF to unload the boxes and stock the shelves. Everybody worked hard and we were finished in an hour. I’m so grateful to God for the privilege to homeschool and the extra time and opportunities that it gives our family!